So here we go again. Can we Christians just grow up? Big deal, so Starbucks is sporting a red cup for the holiday season. No, it doesn’t have “Merry Christmas” or “Jesus is the Reason for the Season” glittered on it. It’s a red cup, people. A simple.. red… cup. Besides, isn’t that everything your little heart desires? A pristine, “Jesus-filled” Christmas without being visually assaulted by satanic, atrocious, secular images of diabolical reindeers and snowmen. Starbucks owes no one a curtsey to their faith. They are not obligated to give religious sponsorship. They are a free company in a free country. If you want to sip your Mocha Latte’ from a cup ladened with seasonal little-baby-Jesus sayings, do the hard work of starting your own show where you can pimp whatever coffee cup you want. You could even call it “Higher Grounds,” to match the cheesy-Christian, arrogant disposition from which you gaze upon the world. But, it’s not about that is it? Not even close. Your judgmental version of Jesus isn’t about what you could be doing, it’s about flapping your gums at what everyone else should be doing. Pitching a temper tantrum when culture doesn’t harmonize with your black and white, underwear-ironed, pretentious Evangelical world. Your arm-chair version of the Christian life looks like that 40 year old, adult child who lives in mom and pop’s basement, eating Corn Puffs in his boxers. Pouting when he doesn’t get his way, while pointing freshly-licked fingers at everybody else’s life, completely oblivious to the pathetic nature of his own. Don’t we have anything better to do? Here’s an idea. Put on some pants, wipe the orange drool off your face, and get a life for crying out loud. Don’t you realize how pathetically desperate you look, glued to your cultural radar screen ready to pounce on the slightest blip of what you perceive to be an offense to your faith. The way of Jesus has never been about words on cups. And that it apparently is for a serious portion of our Christian culture, shows just how disgustingly lame we have become. But really, who should be surprised. When worship has become all about stage lighting, tight packaging, skinny jeans and whose hands are lifted highest. When church has become all about growth trends, baptismal counts, carpet colors, slick branding, and warm bodies. When faithfulness has become all about social appearances, verse quoting, creed conformity, behavior modification, and doing “big” things for Jesus. When the Christian life has become all about making sure you’re against all the right things, gaining cultural footing, and talking amongst your own while you judge the world. Then Christmas becoming about a red Starbucks cup… starts to make sense. My God people, what the hell have we become? Masters at nothing that matters and everything that doesn’t. Superficial, selfish whiners who have turned Jesus into everything He’s not. Easily offended spiritual babies who can’t even smell our own dirty diapers. We have become a fart in a fan store. Completely, irrelevant. The more we try to jam our views and values down the throats of our culture, the more society vomits them right back. Why? Because they know the essence of Jesus better than we do. They know the way of Jesus is to serve, not to be served. Period, end of sentence. Though perhaps you don’t care, they do. And I think they have given their answer. Your version of Christianity sends even Jesus vomiting into the porcelain altar. It’s nothing like Him. It’s superficial, selfish, and whiney. And quite frankly, the world sees your faith, founded on appearances, theological conformity, self-preservation, religious fanfare, spiritual elitism, and a judgmental spirit and therefore has decided it just isn’t going to be superficial, selfish, and childish like you. Christmas… it’s not about a red cup, but a new covenant cup of Grace. A Grace that places everyone on equal ground, none our better, only different. All beloved by God. That is the essence of Emmanuel. Born to rebirth us all. Grace with us, in us, for us… as us. All of us. Until people matter more than red cups, we will forever be drinking and selling a coffee Jesus never ordered. One that He, me, and the world will forever spit out. Not getting your passion on this one. People are allowed to dislike Starbucks if they want to. It’s deeper than a red cup. There are lots of reasons to dislike Starbucks. The color and design of the cups they use for the holidays should be somewhere around 45,212th on that list. Thanks for your feedback Ashley! great post chris loved it 😀 keep up the great work. Daniel, thanks. And btw, thanks so much for having my back on the comment section of that other post. Wow, you sure brought it! Agreed, so much a lot of people on the right (politically) are telling people how the PC world has made people such crybabies, and then some of them are the same people who are crying about this. 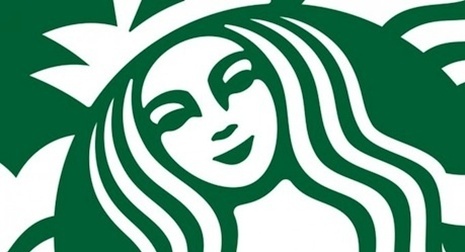 I mean, if you are going to be that offended by Starbucks, you should not even drink Starbucks in the first place, I mean they do have a pagan symbol as their company logo anyhow….just grow up, there are so many other things in the world to be concerned with. Just stumbled on this. While I don’t disagree with a lot of your summation and the use of the fart in a fan store was childishly clever…..perhaps your message would be better received if it wasn’t presented in such a jackheaded manner. Just a thought. thanks for the feedback and for reading my stuff! Damn this is the best article on the wild-eyed fascist Christian cons that I have ever read related to Starbucks. I though I was the only person who thought that they were whining too heavily at a secular business for not ramming Merry Xmas down everyone’s throats.